I'm sitting on the couch feeding Max. I ask Charlotte to sing the penguin song she learned at school today. She then wants to "sing a song about God". We sing, "He has the whole world in his hands." She asks me where God is. I tell her that he is all around. That he is at her school, in our house, at our church - he is always with us. She asks me when we can go see him. I say that we can't really see him, but we will one day. She asks if we will drive a car to see him. I tell her that we can't drive a car there. She says that we will just get in his hands and he will take us. Such a sweet moment. Then she gets quiet and looks very intent. I think that she must be forming some really deep, thoughtful question. She asks, "Is that poop coming out?" "what?? I don't know - are you pooping in your pants?" You just never know what is going to come out of an almost 3 year old's mouth. 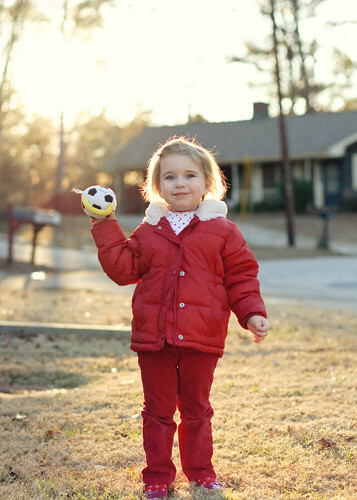 We played outside today in the much warmer weather. 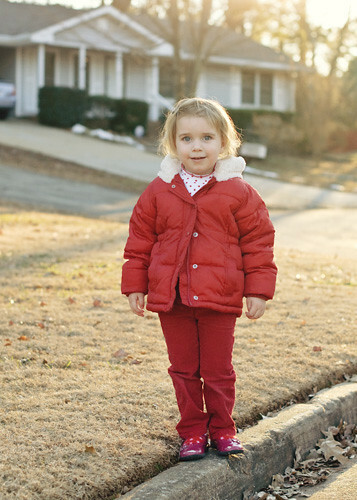 Charlotte saw her shadow stretch across the driveway. 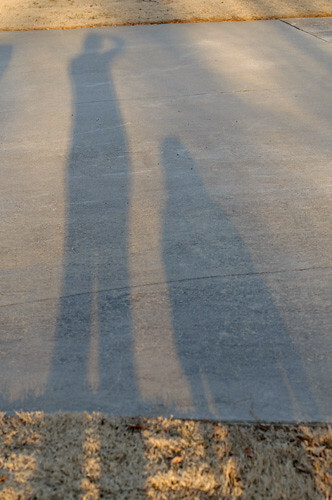 She ran across the driveway and said, "I'm going to jump on my shadow's head". She tried and tried, but never quite got there. Today was gorgeous. We were out for a long time too! Loved it. That is so cute - love it! I can't wait to meet her!